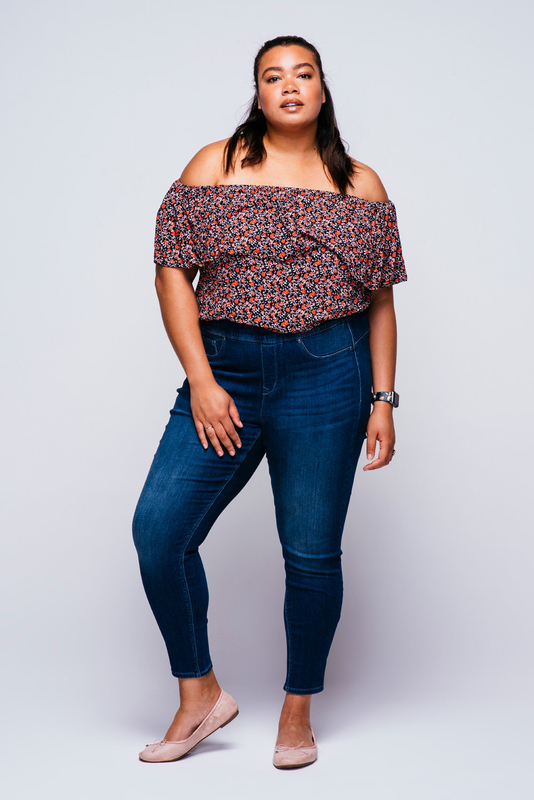 Curves 360 by NYDJ launched a size-inclusive line that includes 00-28. As much as retailers should know this by now, not EVERYWHERE has size-inclusive options. Especially when it comes to pants. Although there are a few out there that do offer some selections, there is ALWAYS room to expand. So when we heard Curves 360 by NYDJ launched a line that included 00 - 28, we had to try it out. 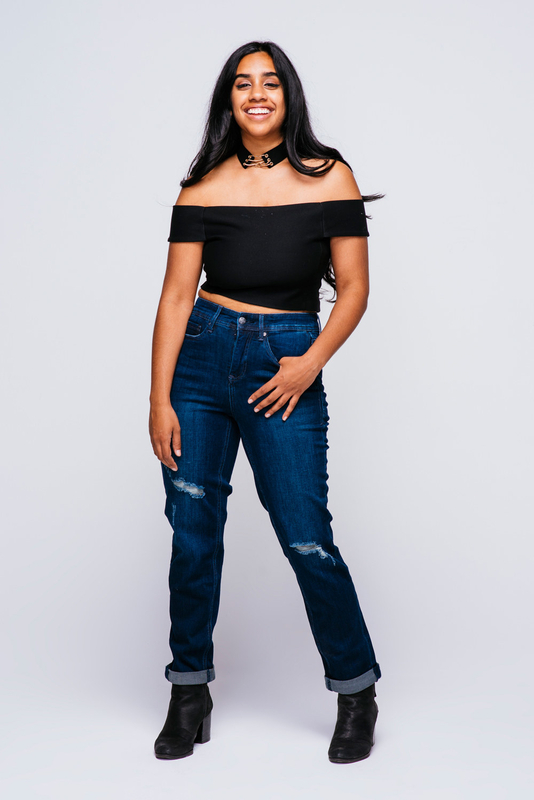 According to the website, these jeans can be purchased in three different styles: Boost, Shape, and Sculpt, and the price ranges from $119 - $129. They're also "specifically designed to beautifully flatter all body shapes and sizes." So we decided to put them to the test! Important note: The company recommends purchasing one size down from what your normally wear for the best fit. 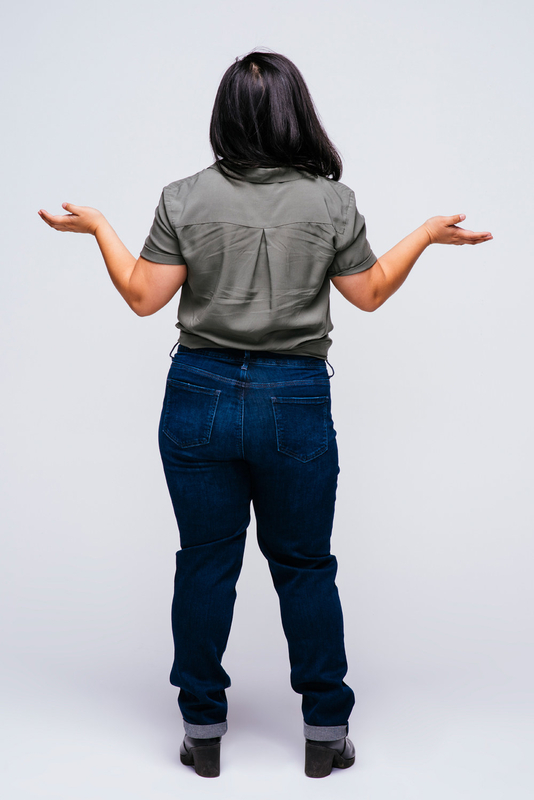 Farrah's thoughts: I normally am a skinny jean type of person who LOVES a good stretch-fit, but I wandered off the beaten path by choosing the "Slim Straight" style. When I first put them out, they fit looser than I expected. But after wearing them around all day, I can honestly say that this is probably the most comfortable pair of jeans I own. I am sort of digging this style. I was worried they'd look TOO baggy, but I don't think that's the case here. Maybe I should rock this style more often. Get these jeans for $129. Sheridan's thoughts: Hell must have frozen over because I found a pair of jeans that I'm actually obsessed with. Dear friend, I have one of those bodies that can be very difficult to find pants for. I'm six feet tall with a junk in the trunk and a smaller waist. But somehow these magical jeggings fit like a glove? And the best part is they never, ever rode down. So yeah, these jeggings stayed put, were super comfortable, and looked great. After years of the jean hunt struggle, I feel like I deserve this one win! Get these jeans for $119. Crystal's thoughts: I’m gonna come right out at say it: I hated these jeans. 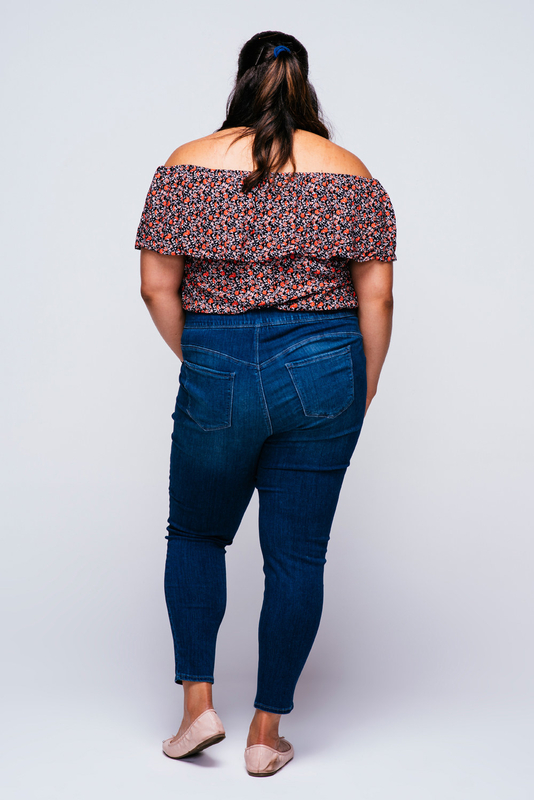 I actually think they looked great on everyone BUT me, which is massively disappointing because these jeans are supposed to “flatter all body shapes and sizes.” I have a pretty hard time finding jeans as it is, and these were no exception. You could say, “Oh, but all Crystal has to do is shorten these,” but to that I say — 1) I shouldn’t have to have go through the extra hassle and expense of shortening jeans and 2) Even if I shortened these, they still wouldn’t fit right because the problem is in the cut/shape of the legs, not the length. 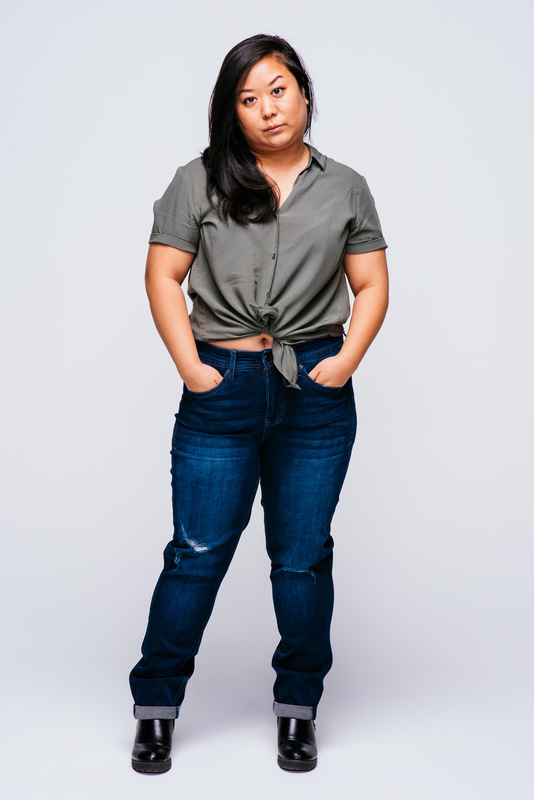 Hopefully, these “size inclusive” jeans will include more shapes and sizes in the future! One positive thing I will say, is that the material was soft as hell. Nina's thoughts: I was very skeptical about these jeans at first because TBH, I rarely wear jeans, let alone relaxed fit jeans. One of the few things I like about myself is my legs, and I like to show them off in mini skirts, short dresses, and the occasional tight pant. But I have to say, these jeans impressed me. They were relaxed, but not tooo relaxed where I looked like I was swimming in them. I was also nervous about the fit because I’d heard they run small so I ordered a size down, but the fit was absolutely perfect! In fact, after this photoshoot I wore them the next day because they were so wonderfully comfortable. Chill Nina is here to stay. For the most part, these jeans fit comfortably, correctly, and stylishly. However there's still room to expand in terms of height inclusiveness! Including a wide-range of sizes should also include a wide-range of height, too! Disclaimer: BuzzFeed received these jeans free of charge.